What do you like your romance to include? I’m an eclectic reader so I’ll read just about anything but I am partial to otherworldly elements. 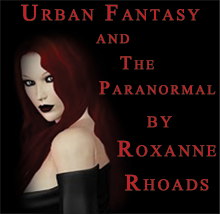 Paranormal, Fantasy, even a little Sci-Fi here and there. Witches, Vampires, Werewolves, Shifters, Demons…what are your favorites? If you got to choose the type of creature your mate would be- what would you pick? My top picks are vampire and werewolf. Which books are going on your wishlist?